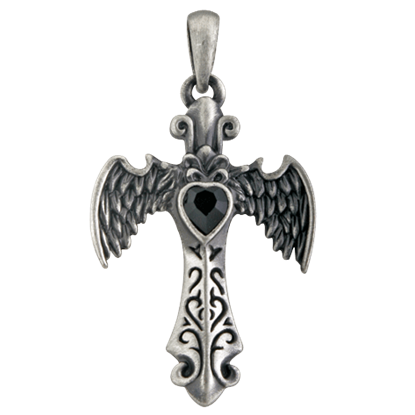 Ideal for anyone who values the spiritual side of life, the elegant and original Angel Winged Cross Pendant is a great option. 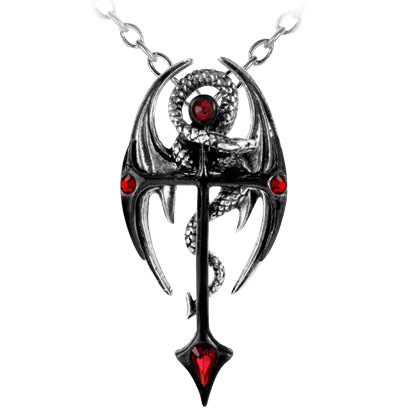 This fashionable jewelry item combines a traditional symbol and enhances it with artistic creativity. The jewelry you wear says a lot about you. 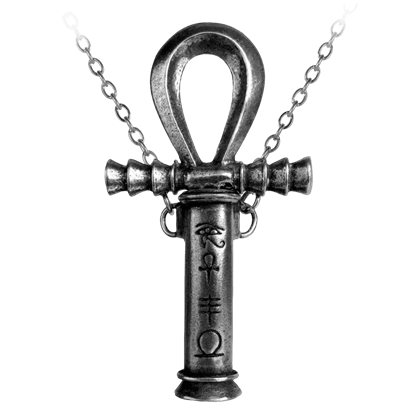 Display your immortal soul with the Ankh of Infinity Necklace, a piece that combines two meaningful symbols, the Ankh and the infinity sign, to create an emblem that represents eternal life. 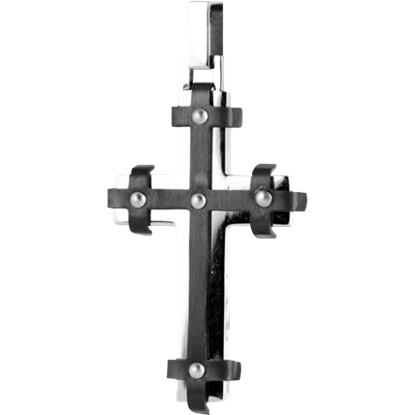 The Black and Silver Riveted Gothic Cross possesses beautifully contrasting tones that perfectly compliment the gothic style. 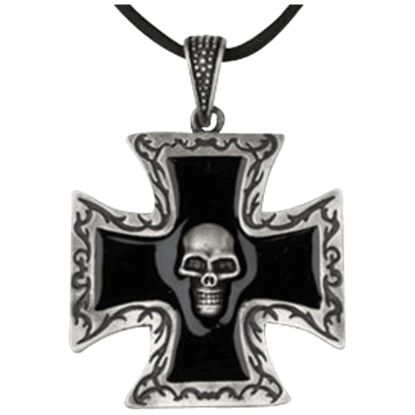 Designed to look like it has been wrapped in leather, this steel pendant is sure to up your gothic style! If a good knight is awarded a medal for his valorous acts, then what is an evil knight given for his dastardly deeds? 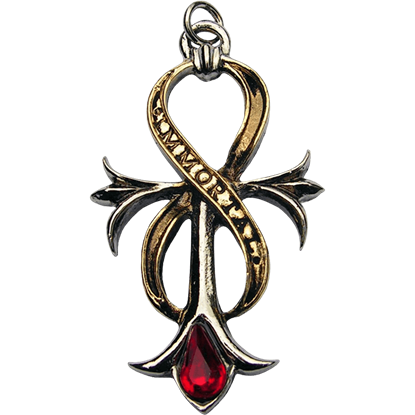 Perhaps it is something like the Black Knights Cross Necklace in support of his nefariousness. 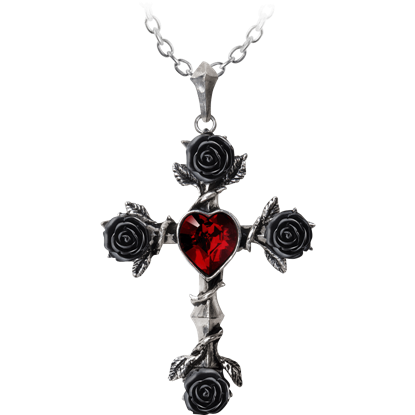 A symbol of deep devotion, passion, and eternal mystery, the Black Rosifix Necklace offers an enigmatic accent for pious lovers. 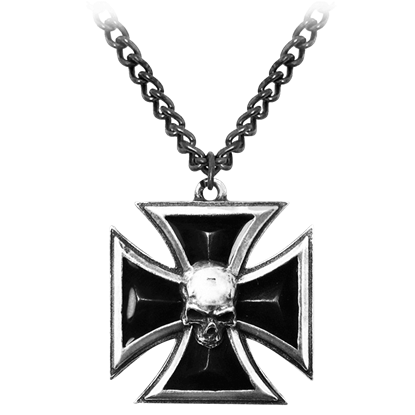 The gothic cross necklace is entwined by black roses with the blossoms at each extremity. 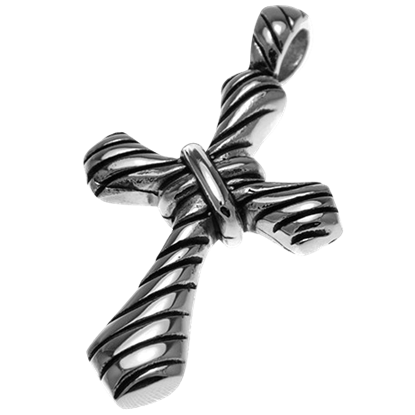 For centuries, the cross has served as a symbol of faith and devoutness. As a jewelry piece, it adds serenity and grace to any look. 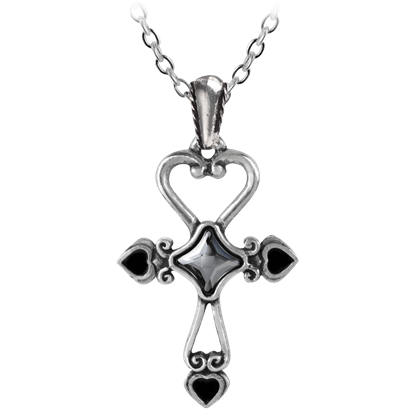 The Diagonal Groove Cross Pendant is an elegant accent to modern and historical outfits alike. 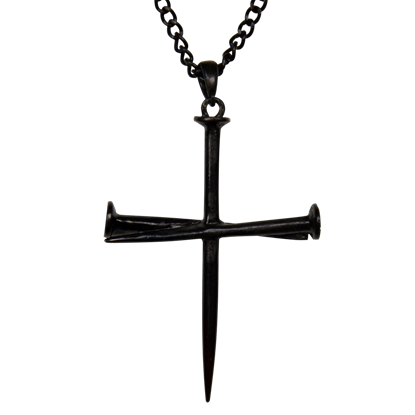 The Diamond Cross Necklace would make a lovely addition to your everyday wear. This necklace features a diamond shape at every end. 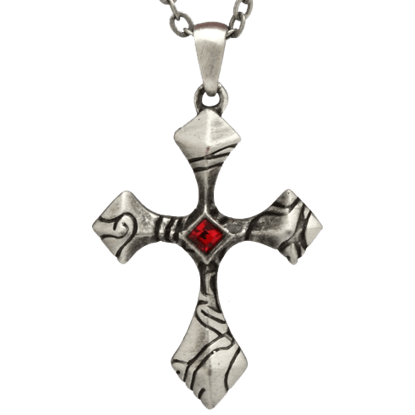 Detailed markings cover the front, and this necklace also features a red gem in the center.